From the first time you pick it up you know Klim isn’t kidding about weight. A size L sample Bikeland evaluated weighed in at a Jenny Craig-like three pounds 4.8 ounces. 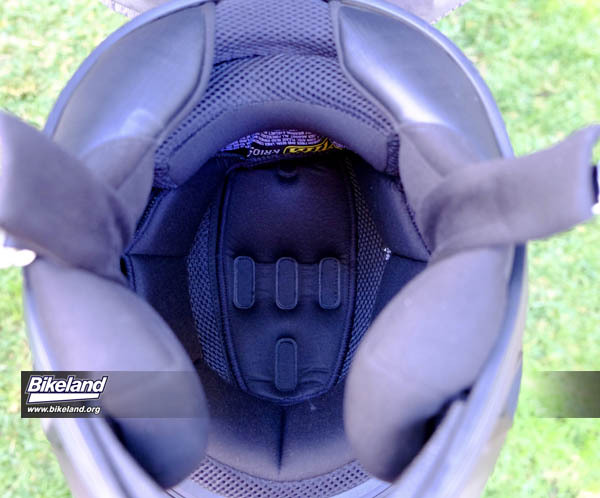 A medium Arai XD4 tips in at three pounds 10 ounces, a difference you can feel immediately and after extended rides. Although its weight’s a big selling point, the Krios is still laden with plenty of features. A full visor, rear spoiler, chin guard and optically correct Pinlock® ready face-shield in Clear and Smoke options. 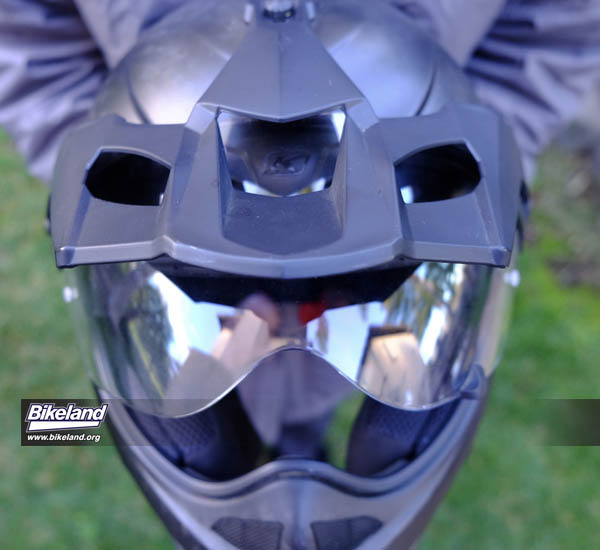 The shield and visor system are a quick-release design and require easy 90-degree quarter turns to lock & unlock. No tools required. Krios is also an impressively quiet helmet even with lots of air space around your ears. The main and side liners use adaptive smart foam technology and Klimatek™ fabric, a fast-wicking, anti-microbial textile. There’s plenty of room for eyeglasses or headsets. The Krios can even be purchased directly from Klim with SENA headsets pre-installed. This saves some money vs. adding the SENA communication set up later. Klim claims to have perfected Aero Acoustic performance through sleek and stable aerodynamics, and ventilation design. We can vouch that it works well. We were very surprised with the low overall sound levels at various road speeds. KLIM says they spent significant time designing and testing the aerodynamic visor and rear spoiler to reduce wind strain and buffeting at speed. Bikeland can confirm it has less tendency to lift or “catch” the wind when turning your head to the side. The significant cut outs on the visor peak look like they aren’t enough to block the sun but they do. The visor is also sturdy enough to maintain its shape and doesn’t buzz or flex. 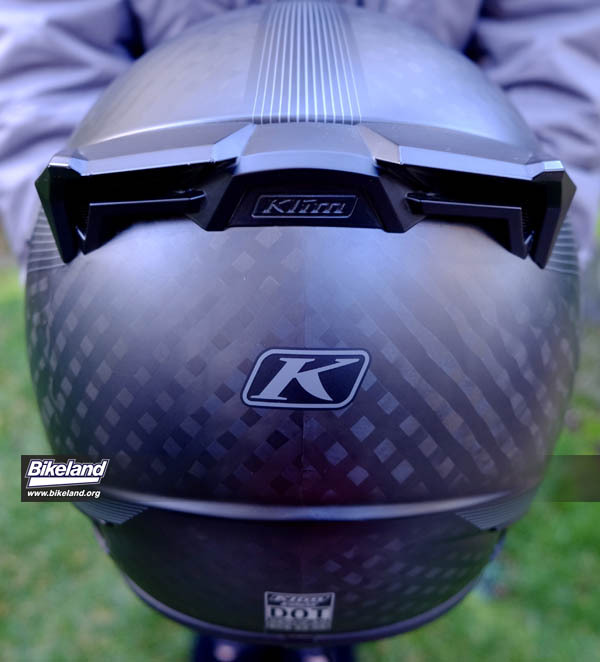 The full-carbon Krios shell is a hand-laid, wide carbon weave manufactured in Italy with final assembly in China. Klim claims their hand laying technique allows more precise control over each section to utilize optimal resin amounts and reduce weight. The Krios meets ECE and DOT standards. Klim builds its full size range off of two shell sizes: one for small-large and one for XL-3XL. 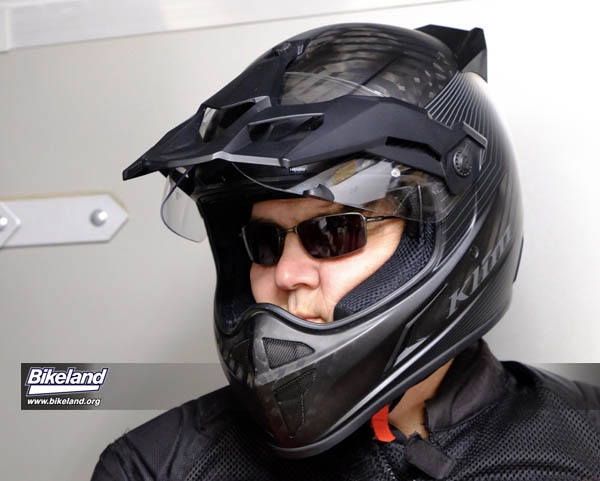 Krios sets a new level of performance for a do-it-all dirt, street and dual sport helmet. As with most helmets in this category it can be worn with or without the shield or visor. The eye port is big enough to accommodate most goggles. Ventilation with the shield on is adequate and it’s certainly a good three-season helmet. 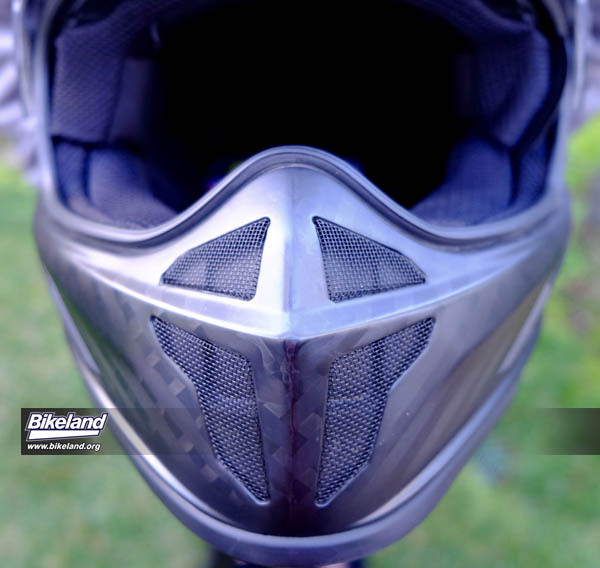 Air does not flow as well as a full dirt helmet but likely contributes to the low noise levels. We didn’t experience high temps with the Krios but summer time or city riding may have you wanting more airflow. At 57.5 cm our tester’s round oval dome is usually a size 7 ¼ to 7 3/8ths ----on the line between an M and L. He found the Krios Large surprisingly close albeit still a slightly loose fit. The Medium was a bit snugger than other brands but would be our choice with the expectation of some break in. The linings are plush befitting a helmet in this price range. - Chin strap is extra long which can enable helmet removal by just loosening although nobody we know does that…yet. - We’d like more airflow controls and a bit more flow overall. - Shield lift “button” was hard to access with some gloves. - Only two color options. 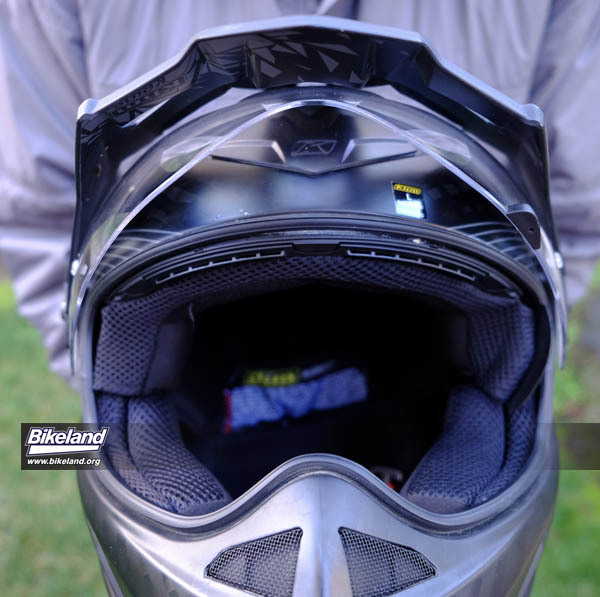 Klim has raised the bar on the ADV helmet category with innovative features and impressive weight reduction. If your head shape is long or slightly oval we think you’ll be impressed.